Duet has crossed her outward track and thus completed the Voyage to Success. Having anchored off Southend to await the tide, Duet made her way up the Thames in the early hours of Saturday morning. In the tight security of London 2012 they were boarded twice by the authorities before they reached Limehouse Basin on the morning tide. A reception at the Cruising Association was held in the afternoon with guests from far and wide. Principal guests included the Mayor of Chelmsford, Cllr Christopher Kingsley who has adopted The Cirdan Trust as the Mayor’s charity for the duration of his Mayorship. Also, Paul Anderson OBE who is Champion for Leg 11 and Revd Christopher and Elizabeth Courtauld owners of Duet and supporters of the Voyage to Success 2012. Cllr. Kingsley spoke of his firm support for the Cirdan Trust and the work that it does with young people and maritime heritage. 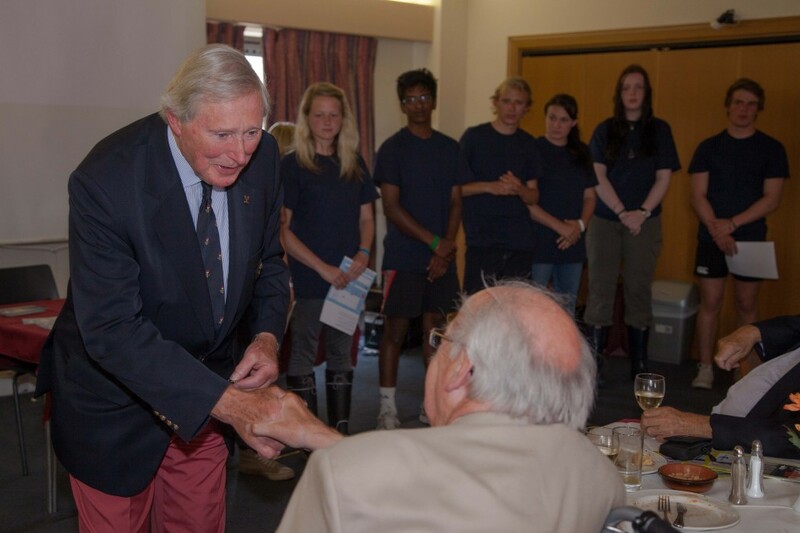 Paul Anderson congratulated the young people on their achievement and spoke of his strong belief in the power of seafaring to help build self-reliance and teamwork and entertained the audience with stories of his Olympic and Admirals Cup campaigns. Christopher Courtauld told how Duet has been a member of his family longer than he has since his father, the Arctic Explorer, Augustine Courtauld, bought her in 1931. 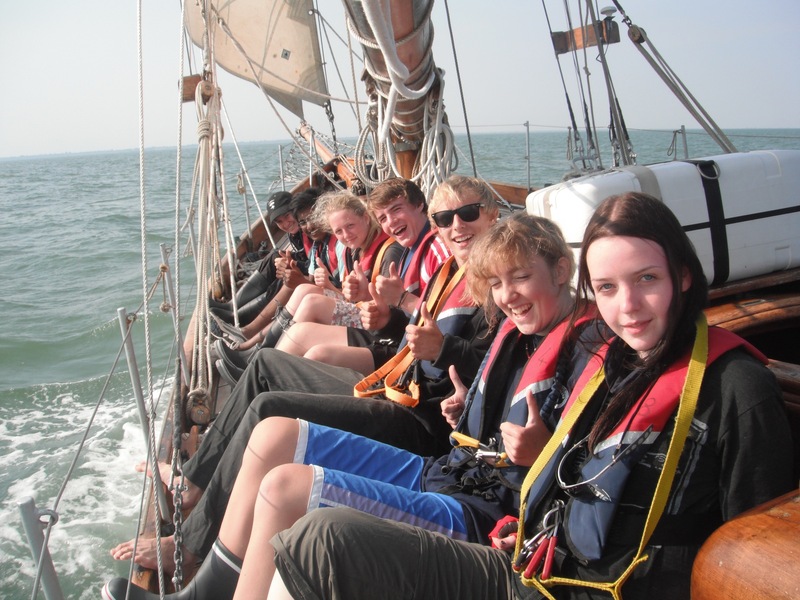 She became a founding vessel of the Ocean Youth Club in 1960 and has become Britain’s longest serving sail training vessel having been in the service of young people for 52 years. 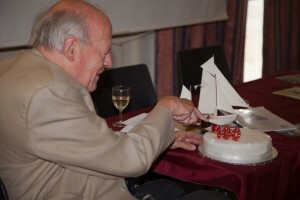 This was not only the presentation event for the crew of Leg 11 and the Closing Ceremony of the Voyage to Success but also a 100th birthday party for Duet so with a lusty Force 8 Christopher blew out the candles on Duet’s birthday cake and with equal vigour, the assembled company sang Happy Birthday to Duet. 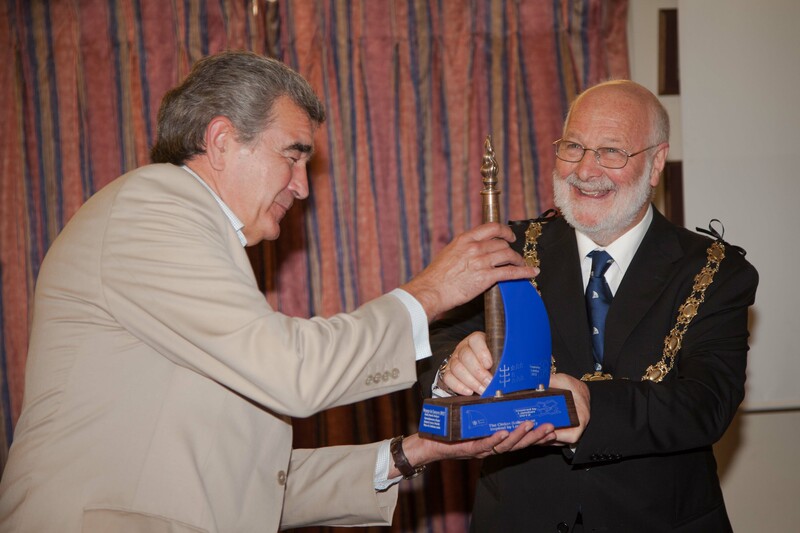 The baton was presented back to David Charlton of the Royal Hospital School whose staff crafted it for the voyage from timbers of the Cutty Sark. It will serve as a school trophy awarded for endeavour in water sports. The final presentation was to Christopher and Elizabeth Courtauld for their generosity in loaning Duet and supporting her work for young people. Using a Japanese watercolour-based wood block printing method, Gavin Taylor who, as Mate, sailed the greatest distance of circumnavigation, had created a beautiful print of Duet under full sail. This was presented to Christopher with thanks from all involved with the Voyage to Success. Duet resumes her role as a family boat this week as she meanders her way back to the River Orwell from where she will continue her work on behalf of young people with the Cirdan Trust. While dodging ferries and experiencing light winds, it was decided that some sail practice was needed. Bethany and Vicky put up the staysail and then Micheala, James and Beth put out the jib after some confused but determined thinking. A proud crew was happy to find that Steff and Alex put up the Mizzen with much success. Proceeding thus, fish-finger sandwiches were consumed with large amounts of enthusiasm. After some knotting practice, James and Beth were put through some topological bonding which needed some thought to sort out. The afternoon roast was almost lost after some rough waters. At anchor in Southend we made our way to bed at 8pm and slept through – with much effort – ‘till 1am. After a very rocky sleep we raised the anchor and got the adrenalin pumping to get us through the next part of the journey. Everyone enjoyed the night lights whilst on watch . We were visited twice in the night by various security boats including customs who drilled Michaela with questions about her intentions here in England. After interrogations, she was deemed fit to continue sailing with us. All of the crew then enjoyed a tiring but interesting trip up the Thames surrounded by the unique sights of London landmarks. We arrived at Limehouse basin full of warm breakfast and many cups of tea to a small crowd admiring the beauty of Duet. Mooring-up proved to be a challenge but one that was accepted with determination. 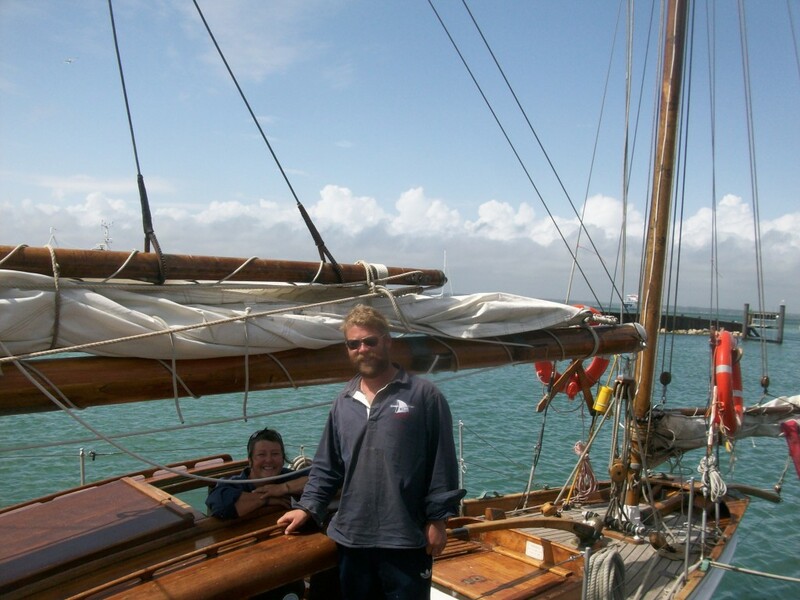 After some stress filled communication, the crew*, first mate and skipper – tired but satisfied – finished the Voyage to Success at 9am on 11th August 2012. Very proud indeed! Duet is set to cross her outward track and complete her circumnavigation of the UK (via the canals) early tomorrow morning as she makes her way into London at the end of her 76 day odyssey. She will berth at Limehouse Basin no more than 2 miles from the Olympic Village for the ‘closing ceremony’ of the Voyage to Success which is due to take place on Saturday evening. The Olympic medallist Paul Anderson will present the young crew with the final certificates of achievement of the voyage in which close to 60 young people have sailed in 11 teams to complete the circle back to London. After all of us getting lost we eventually found the yacht, Duet. We then got to know each other and wrote a shopping list. We had to use the boat trolleys to get the large amount of shopping back to Duet. Later on we went down to the Chippy for fish and chips. We went back to the boat for an intense game of Irish snap. Several battered hands later we all went to bed. Waking up to the sound of James making the tea and Alex screaming. Beth realised we had a drip. After three kettle boils we eventually got our tea for breakfast. We had egg, bacon, sausage and mushy but yummy hash browns. We then proceeded to leave the harbour under motor. We put the main, mizzen, staysail and outer jib 1 sails up. We had a force four west-south-westerly wind. Our point of sail was a broad reach. 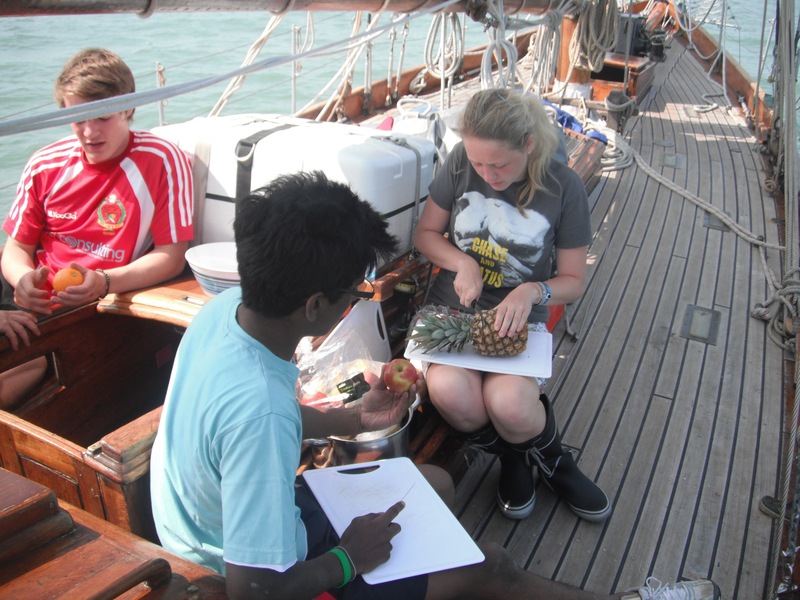 Vicky and James attempted to make tea but then had to be taken over by Michaela after feeling seasick. Bethany and Beth proceed to then throw-up over the side. We then changed from Jib No.1 to Genoa. For this James went out on to the bowsprit to attach the tack. Bethany instructed us how to flake the jib. Chicken Fajita were then cooked in rather bumpy conditions by those who were feeling sick. Beth and Bethany then saw their lunch again. We approached the white cliffs of Dover which was nicely pointed out by Beth followed by a short disagreement about satellites. 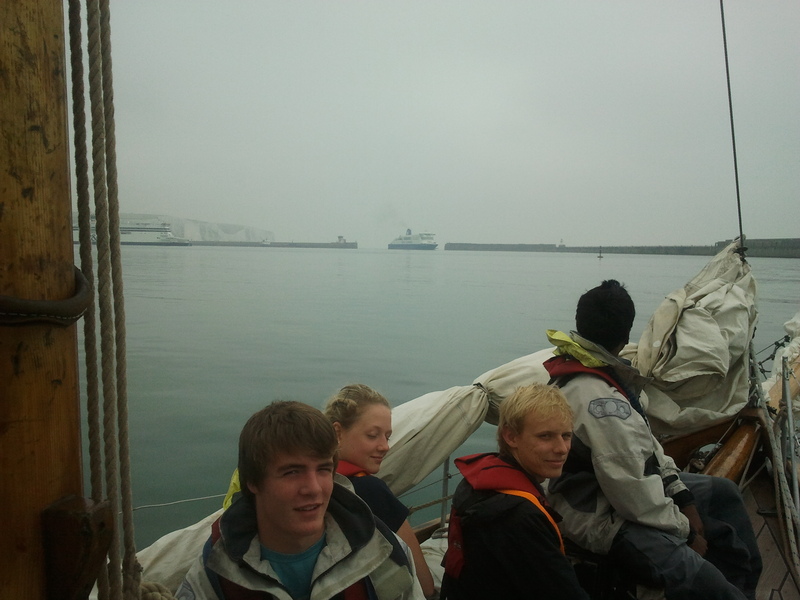 We then moored up at Dover. Vicky and Bethany then cooked chicken curry which went down well after a day of sailing. Breakfast was at 08:30 because James had to go to the hospital after a nasty bug bite. Alex dropped an orange out of the overloaded fruit net which landed in Bet’s tea. We set out in a very light wind using the motor to help. The Olympic medal winner and America’s Cup skipper Paul Anderson OBE is to be the Champion for the final leg of the Voyage to Success 2012. The final leg of the UK circumnavigation to mark Duet’s centenary and London 2012 will depart Eastbourne on Tuesday to arrive in London in time for the Olympic closing ceremony. She will be crewed by young people completing their Gold Duke of Edinburgh Award. 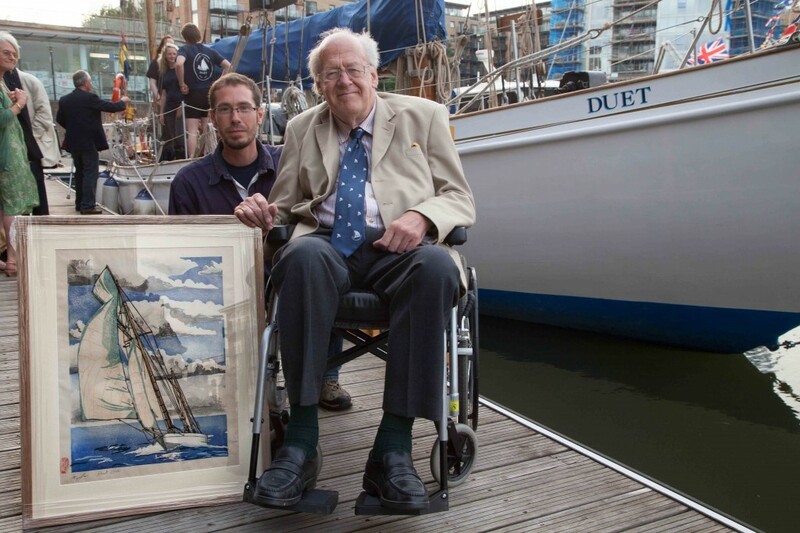 Duet departed London at the end of May carrying a baton crafted from original timbers of the Cutty Sark. She has been sailed by eleven teams of young people, many of whom experience considerable disadvantage such as homelessness or being in care. The voyage not only celebrates Duet’s Centenary but seeks to draw on the inspiration of London 2012 to raise the aspirations of the 60 young participants. 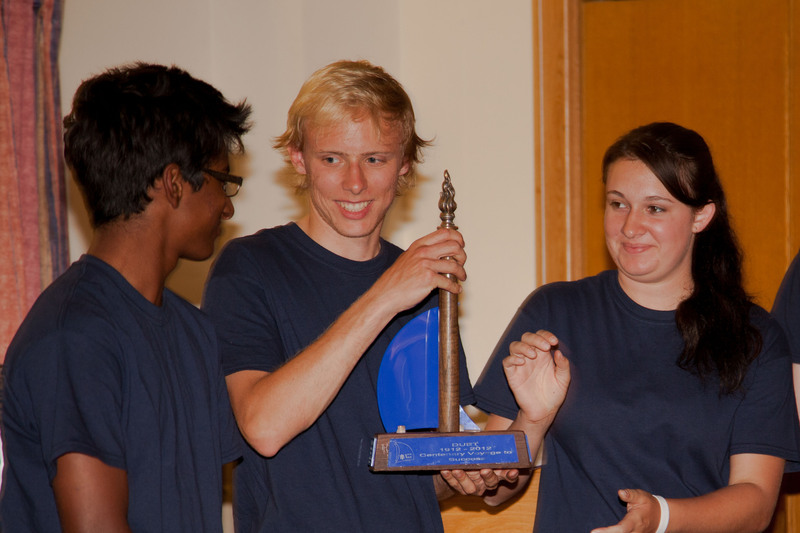 As Champion for the Leg, Paul Anderson’s role is to provide encouragement to the young people during their voyage and to congratulate them upon their return. 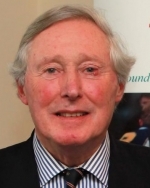 Paul Anderson, who won Bronze sailing 5.5 Metre class in the 1968 Olympics, will present certificates of achievement to the young people at a ceremony at Limehouse Basin, London on Saturday 11th August. 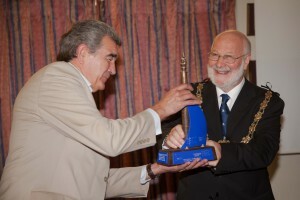 The Mayor of Chelmsford will be in attendance as The Cirdan Trust is the Mayor’s charity for 2012. Enjoy the ride as Duet sails from Holyhead to Swansea during Leg 7 of the Voyage to Success. On route from The Solent to Eastbourne….Seven Sisters in the back ground…all in ,day sail done with Jo Jo champion & big welcome in from scouts & Mayor in Sovereign Lock. Duet leaves Eastbourne on Tuesday for London. As ever, it is the modern technology that lets you down. We hope that the laptop will be working again before too long so that the log can resume but in the meantime the young people are making the most of the traditional facilities aboard Duet – a bucket of cold water! 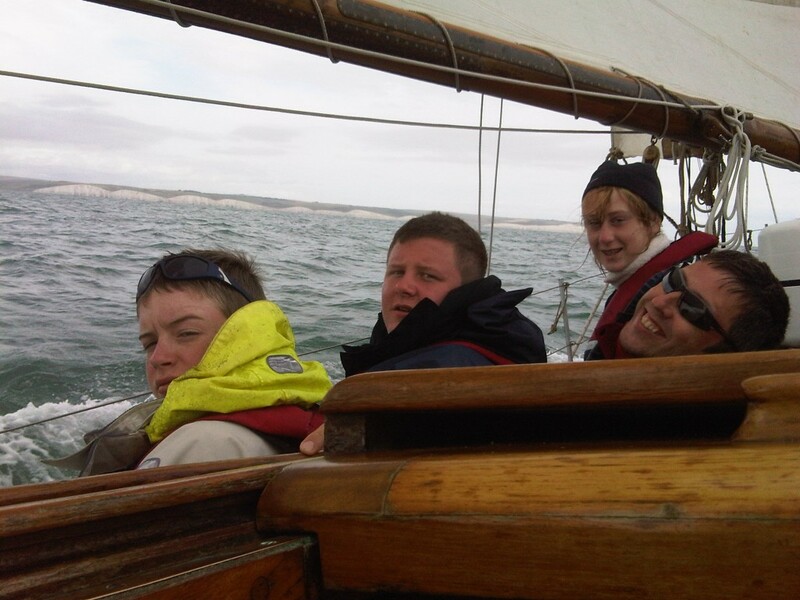 Young people from York Children’s Services joined Duet on Wednesday and by the following day had made a successful passage past the Olympic racing off Portland to Yarmouth on the Isle of Wight. Here they were spotted by good friends of the Cirdan Trust Marion and Richard Heming who have kindly supplied this photo of Dawn (Skipper) and Paul (Mate). The vagaries of internet connections have so far prevent the young people from getting their log updates through but at least we can see that they weather was good in Yarmouth Harbour! As she heads for Eastbourne Duet is leaving the stronger winds to the West and with South and South-westerlies she should make speedy progress towards her destination. JoJo Anderson is to be the Champion for penultimate leg of the Voyage to Success 2012. 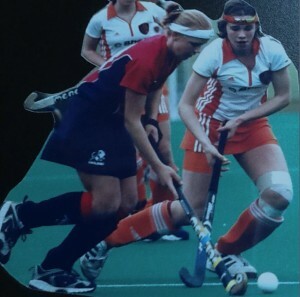 At the age of only 11, JoJo represented Great Britain in the Cadet World Sailing Championships in Mumbai before turning to hockey in which she represented England 25 times. Following an international sporting career that lasted more than a decade, JoJo travelled to South America where she set up and ran a hockey school for under privileged 6-16 year olds in a shantytown near Lima. JoJo still cites her time in Peru as possibly “the most rewarding and humbling part of her sporting career” as she was able to offer, through the medium of sports, an escape and hopefully, inspiration for children whose lives had been limited by poverty, drug and alcohol misuse. As Champion, JoJo will be offering support and encouragement to young people from York Children’s Services who will be sailing Leg 10 from Weymouth to Eastbourne and congratulating them upon their arrival. 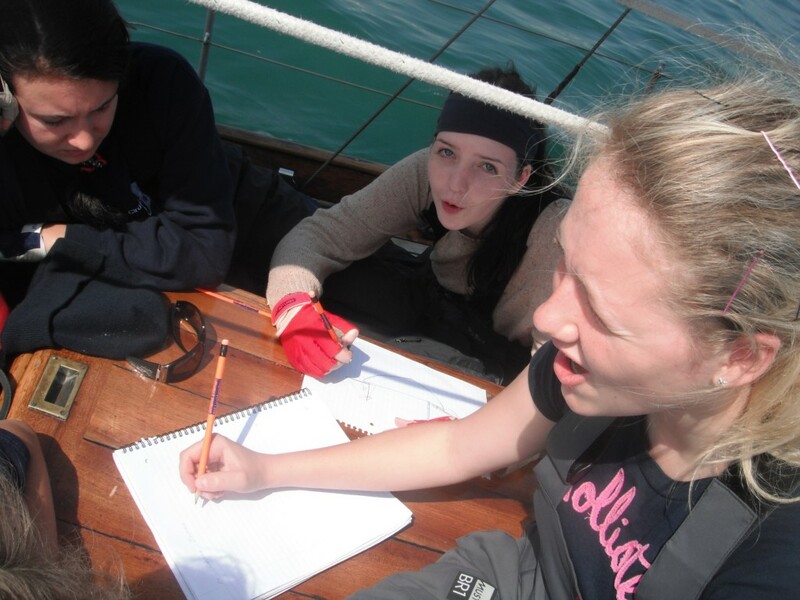 “I have been a firm supporter of Cirdan and the work it does with the young through sailing.” says JoJo. “There is no doubt that sailing provides the challenges we all need to bring the best out in oneself and helps one realise we can achieve more than we ever thought possible. Somehow when you are sailing, cold, wet and miserable there is that extra bit of strength and skill that is needed at the time to get you through. Not a bad lesson for life. As anyone who has been following the Olympic sailing on television will know. Duet will have no shortage of wind to speed her on her way towards Eastborne. At least it should be from a helpful direction!